« “Creativity Comes from Conversation” — an excerpt from my chapter in the book, Age of Conversation 2: Why Don’t They Get It? 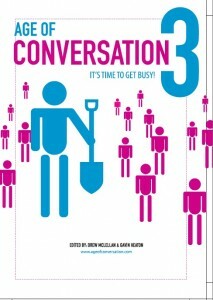 The cover of Age of Conversation 3: It's Time to Get Busy! So far, I have been a contributing author to three nonfiction books related to Social Business and Innovation, including the recently published book, A Guide to Open Innovation and Crowd Sourcing: Advice from Leading Experts, edited by Paul Sloane, with a foreword by Henry Chesbrough (Kogan Page, March, 2011); and two of the Age of Conversation trilogy, edited by Drew McLellan and Gavin Heaton: Age of Conversation 2: Why Don’t They Get It? 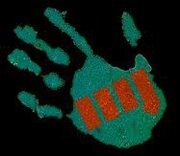 (2008); and Age of Conversation 3: It’s Time to Get Busy! (2010). In each book, I chose to write about how social business affects people and the culture of organizations—rather than just discuss how to use the social tools—and how social business is leading to more innovation, including Open Innovation. I’ll be writing more about A Guide to Open Innovation and Crowd Sourcing: Advice from Leading Experts in another post. Meanwhile, whether you are relatively new to using Social Media for business purposes, or a seasoned veteran, you will find value in owning the entire trilogy of the Age of Conversation books, which provide a bounty of still-relevant advice about many facets of integrating conversational media with other communications channels, both inside and outside of your organization. It is also interesting to note how the uses of Social Media have changed between 2007-11, and how much more the public and business world have embraced Social Media during the past few years. In 2007, with what began as a half dare, the editors, Gavin Heaton and Drew McLellan, challenged bloggers around the world to contribute one page—400 words—on the topic of “conversation.” The resulting book, The Age of Conversation, brought together over 100 of the world’s leading marketers, writers, thinkers and creative innovators in a ground-breaking and unusual publication. 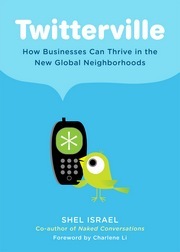 In Age of Conversation 2 and 3, the number of authors rose above 200, all notable social media marketing professionals. The proceeds of all three books were donated to charities selected by the editors and authors. We always ask, “What’s next?” — especially when it comes to the Internet and social media. Rather than focus on the tools, I think it’s more essential to focus first on people. As social media and social networks have become widely adopted by corporations, nonprofits, small businesses and individuals, an amazing shake-up is taking place in our organizations and the ways we work. The fact that using these tools requires transparency and openness means that social users are thinking more creatively and driving innovation, both inside and outside of their organizations. We can expect to see a constant spiral of workplace innovation driving the creation of new social tools and uses, and vice-versa. How can we use social media, social networks and online communities more creatively to drive and sustain innovation? • At the beginning of each specific project, are we thoroughly surveying the audience or customers, rather than simply assume that Twitter, Facebook, LinkedIn and a blog are the way to go? Are we matching online strategy and tools to where each specific audience is on the Web? • Is there a plan for creating compelling content, including video, audio and images, to tell a story and interact, using a variety of media? • In our workplaces, are we openly sharing ideas and developing online platforms to bridge the gap between good ideas and finding co-workers and advocates who can help us develop ideas, collaborate, and acquire resources to bring them to fruition? • Are we approaching the creation of a social media team as we would organize an innovation team, including diverse personalities, thinkers and doers who take different creative roles, as they would in another type of innovation project? • Are we choosing a social media team of collaborators who can work effectively together, question and support each other? • Are we integrating social media across departments so it’s not “stuck in PR or marketing,” when it should be an integral part of every department? • Are we thinking creatively about how to organize, use and evaluate internal and external social media and communities? • Are we developing new metrics—meaningful methods of measuring results? • Are we shaking up the status quo? For more on creativity and innovation, read What’s Innovation Got to Do with It?™ — the Creative Sage™ Blog. 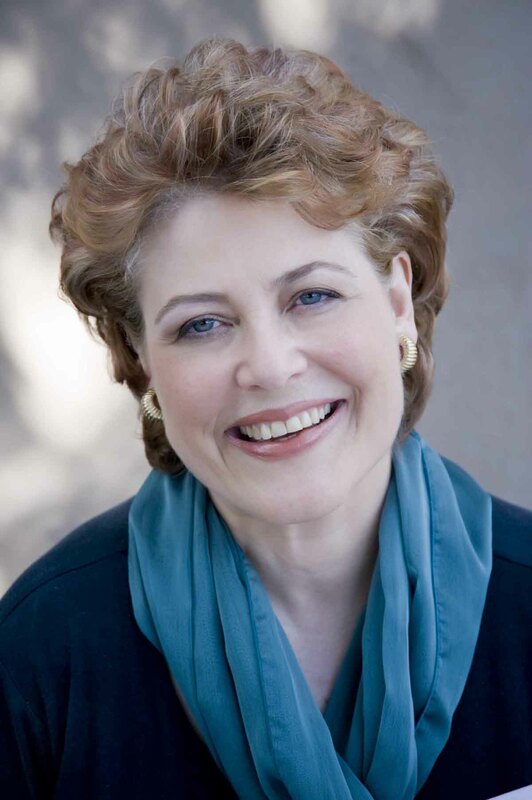 Cathryn Hrudicka is Chief Imagination Officer at her company, Creative Sage™/Cathryn Hrudicka & Associates.. She is a social media, public relations, marketing and innovation consultant and executive coach. 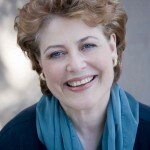 Her clients include leaders in the entertainment, business, technology, health care and nonprofit sectors. A recent client, Sutter Medical Center Castro Valley (a Sutter Health affiliate), won the 2009 SNCR (Society for New Communications Research) Award for Excellence and Innovation in External Communications and Communities in the Nonprofit Division, along with Creative Sage™/Cathryn Hrudicka & Associates, and G2 Communications, Inc.
An author of eight novels, Cathryn is working on a nonfiction book series about creativity and innovation. She is also a composer, sound designer, journalist and multimedia artist. 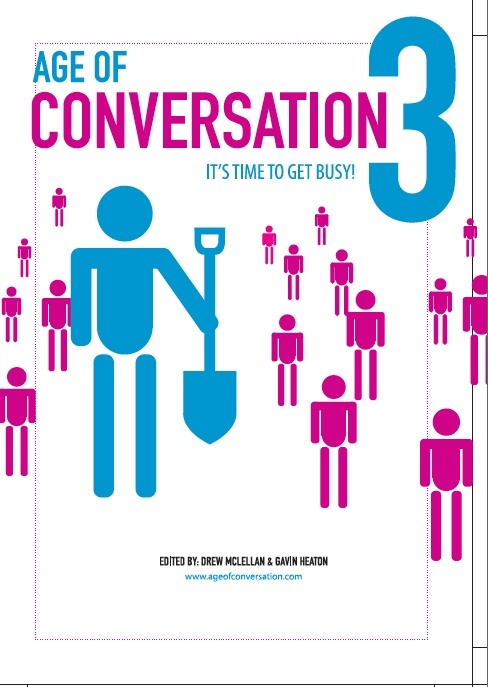 The Age of Conversation 3: It’s Time to Get Busy, published in April, 2010—still relevant, and limited copies are available! Proceeds from AOC3 benefit Charity Water. The Age of Conversation 2: Why Don’t They Get It? Buy this book and support Variety, the children’s charity! Limited copies may be available. 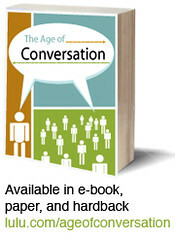 The Age of Conversation 1—you may still be able to find a new or used copy of this book and have the entire trilogy! This entry was written by admin, posted on July 5, 2011 at 12:34 am, filed under 30th Anniversary Year Series, Age of Conversation 1, Age of Conversation 2, Age of Conversation 3, Awards, Blogging, Branding, Business Development, Celebration, Collaboration, Community, Creativity, Employees, Human Resources, Innovation, Internet Marketing, Management, Marketing, Marketing Strategy, Metrics, online communities, Planning Public Relations Campaigns, PR, Public Relations, ROI, SNCR, Social Fundraising, Social Media, Social Media Metrics, Social Media ROI, Social Media Strategies, Social Networking, Society for New Communications Research, The Age of Conversation, Uncategorized, Web 2.0, Web Analytics and tagged A Guide to Open Innovation and Crowd Sourcing, Age of Conversation, Age of Conversation 2, Age of Conversation 2: Why Don't They Get It?, Age of Conversation 3, Age of Conversation 3: It's Time to Get Busy, Author, Books, Business Books, Cathryn Hrudicka, Cathryn Hrudicka & Associates, Charity Water, Creative Sage, Crowd Sourcing, Crowdsourcing, Drew McLellan, Gavin Heaton, Henry Chesbrough, Innovation, Open Innovation, Paul Sloane, Social Business, Social Business Innovation, Social Media Books, Social Media Innovation, The Age of Conversation, Variety, Variety Children's Charity. Bookmark the permalink. Follow any comments here with the RSS feed for this post. Post a comment or leave a trackback: Trackback URL.